Recently in Pennsylvania, a 62-year-old man alleges that his lung cancer diagnosis was due to his work in and around asbestos-containing products for decades, starting in the 1960s. 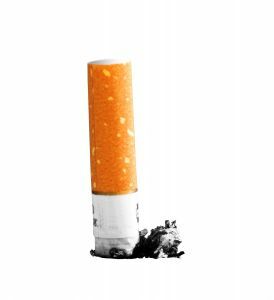 Our Boston mesothelioma lawyers recognize that what makes this case noteworthy is that the plaintiff is a lifelong cigarette smoker. His medical records revealed that he smoked about one pack of cigarettes daily from 1966 to 2010. While his case will be more of an uphill battle than most, it’s not impossible for asbestos exposure victims who smoke or formerly smoked to attain a favorable verdict. What will make this case a little tougher is that he was diagnosed with lung cancer, and not specifically mesothelioma. While lung cancer has been known to have a variety of different causes – cigarette smoking high on the list of those – mesothelioma is far more rare. The only known cause of mesothelioma is exposure to asbestos. No doubt, the deep-pocketed defendants in this case are going to make this man’s smoking history an issue before this case ever gets to trial. Still, there is the potential for him to win, based on the strong evidence that he was routinely exposed to asbestos throughout his career and we know that asbestos exposure in any amount is deadly. Court documents reveal that the plaintiff for a time worked as a deliveryman, loading and unloading various asbestos-containing products, including rolled roofing materials and shingles. Then as a machinist and laborer, he was reportedly exposed to asbestos while working in close proximity to asbestos-containing valves, pumps and boilers. In his role in automotive work, he toiled closely with gaskets, clutches, brakes and mufflers that all contained asbestos. He also conducted a number of home renovations in which he was exposed to asbestos in various construction material, including drywall, joint compound, caulk, floor tiles, insulation and paint. All of this would suggest the plaintiff has a high likelihood of developing an asbestos-related disease. It establishes a strong foundation for proving his illness was caused, at least in part, by those products. A person who smokes and was exposed to asbestos is likely going to be at a much higher risk of developing some form of cancer. This is referred to in medical journals as a “synergistic effect,” and it’s been well-documented in research. But while cigarette smoking may increase your risk of developing a lung-related illness, it does not allow asbestos manufacturers to be off the hook. However, it could mean a lesser award than you might have otherwise received had you never smoked, as the court will dole out a percentage of responsibility to each party. For example, the court might find that the plaintiff in this case is 20 percent responsible for his own disease, while the 10 companies listed bear 8 percent responsibility each.